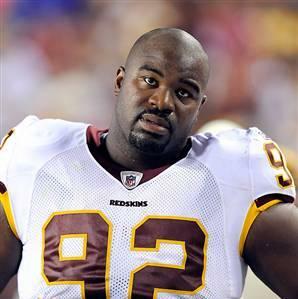 To put it lightly, Albert Haynesworth is a head case. 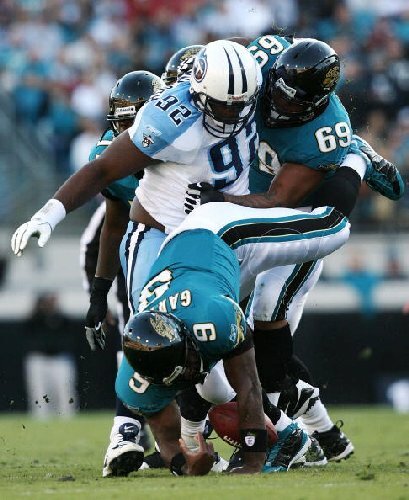 The nose tackle once stomped on the face mask of Cowboys center Andre Gurode as a member of the Tennessee Titans. After he signed a $100 million contract with the Washington Redskins, Haynesworth caused repeated problems for head coach Mike Shanahan and defensive coordinator Jim Haslett, not passing the team’s conditioning test in training camp and refusing to play in the team’s 3-4 defense. In the end, Shanahan had to make the most of the situation, receiving a fifth-round pick, next to nothing for a $100 million player, from the New England Patriots. The interesting part of this trade is that New England also plays a 3-4 defense. However, the Patriots also have a fellow named Bill Belicheck as head coach. Belicheck has a history of taking chances on players with checkered backgrounds, winning Super Bowl XXXIX with Corey Dillon starting at running back and watching Randy Moss set numerous receiving records in New England’s near-perfect 2007 season. Belicheck has built such a strong infrastructure with the Patriots that even if Haynesworth cannot get his act together, it will not affect the team. Belicheck also will not be afraid to cut his losses if Haynesworth becomes a locker room cancer, which is the reason why the Patriots ended up trading Moss in the middle of last season to the Minnesota Vikings. The trade comes with a lot of risk, but the potential reward for New England is tantalizing. If Belicheck can get the most of out Haynesworth, and history says he will, the Patriots will have a defensive line that is almost immovable. At 6-foot-six-inches and 335 pounds, Haynesworth possesses a mixture of explosiveness, brute strength and nastiness that makes him arguably the most talented lineman in the NFL. With space-eating Vince Wilford at nose tackle and 300-pound Ty Warren at left end, New England could conceivably start Haynesworth at right end and end up moving him around in the numerous sub packages the team plays. The prospect of Haynesworth being an every-down player in New England means that offenses must commit two blockers apiece to Wilfork and Haynesworth, creating a one-on-one matchup with Warren on the left and leaving the middle clear for linebackers Jerod Mayo and Brandon Spikes. At 30 years old, Haynesworth still has a lot of good football left in him, especially after basically taking the last few years off. While he does come as a risk to New England, Bill Belicheck and company have strong leadership in the locker room and will not let one player’s act stand between them and their annual goal of winning the Super Bowl. Belicheck’s history of motivating of talented players who fell by the wayside on other teams should allow him to get the most out of Haynesworth. If Belicheck can harness Haynesworth’s elite talent, Haynesworth can become a difference-maker on a Patriots defense that ranked 25th in the NFL last season. At his best, Haynesworth is almost impossible to block with two offensive lineman, which should free up and allow talented linebackers Jerod Mayo and Brandon Spikes to make plays at, or behind the line of scrimmage, especially with nose tackle Vince Wilfork commanding two blockers of his own. Albert Haynesworth presents quite a risk, but he could make the Patriots defense scary and nasty again. This entry was posted on July 28, 2011 by Scott Kornberg. It was filed under Albert Haynesworth, Bill Belicheck, New England Patriots and was tagged with Albert Haynesworth, Bill Belicheck, Brandon Spikes, Corey Dillon, Jerod Mayo, New England Patriots, Patriots, Randy Moss, Scot Kornberg, Ty Warren, Vince Wilfork, Washington Redskins.